Wednesday: Periods of drizzle mixed with rain. High 10. Wednesday night: Mainly cloudy. Low plus 1. Thursday: Mainly sunny. High 16. Our meteorological equipment includes anemometers, solar powered sensors, rain gauges, outdoor IP camera more on our twitter page. 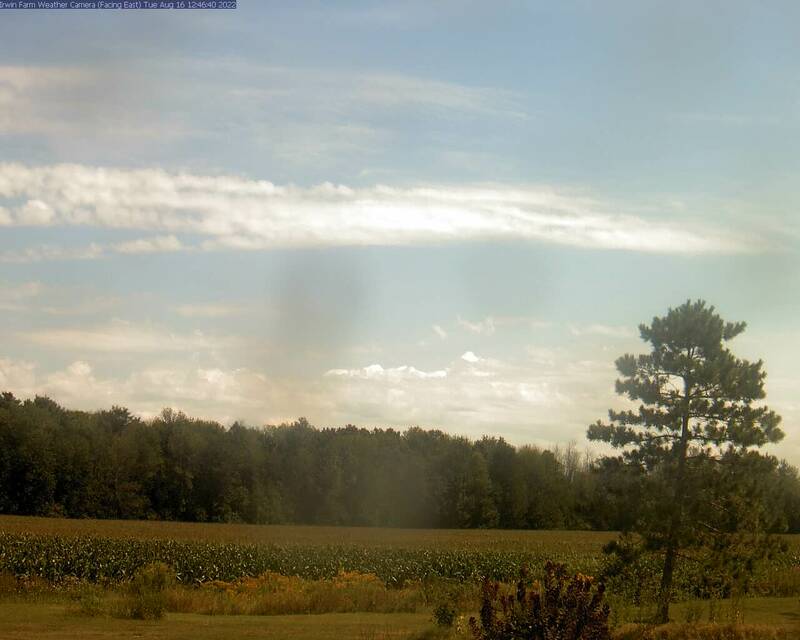 Our webcam monitors the eastern sky and the crop in a nearby 17 acre field.